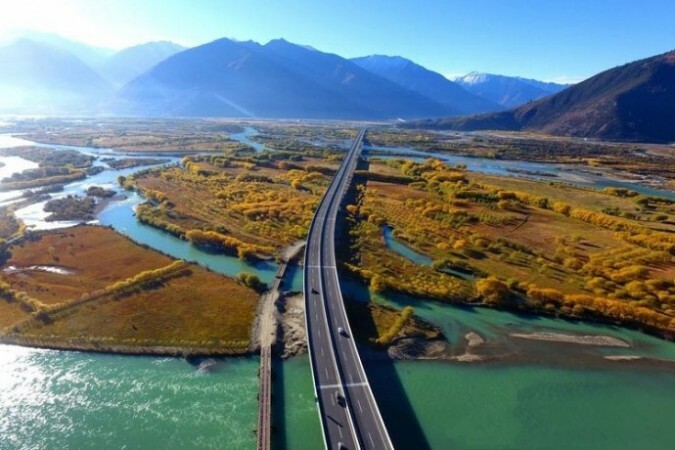 (TibetanReview.net, Oct02, 2017) – China said Oct 1 that it had opened an expressway linking Tibet’s capital Lhasa and Nyingchi (Tibetan: Nyingtri), describing them as the two major cities and tourist attractions in Tibet Autonomous Region. However, Indian news report referred to the project’s strategic significance, noting Nyingchi’s close proximity to the Arunachal Pradesh state. China’s official Xinhua news agency said the 409-km toll-free expressway cuts Lhasa-Nyingchi travel time from eight to five hours at a speed limit of 80 km per hour. It put the cost of the construction at 38 billion yuan ($5.8 billion), citing the local government. The report said heavy trucks were temporarily banned from using the expressway. Most of the expressways in Tibet are also compatible for military equipment, providing advantage for the Chinese military to move its troops and weaponry faster, noted timesofindia.com Oct 1. 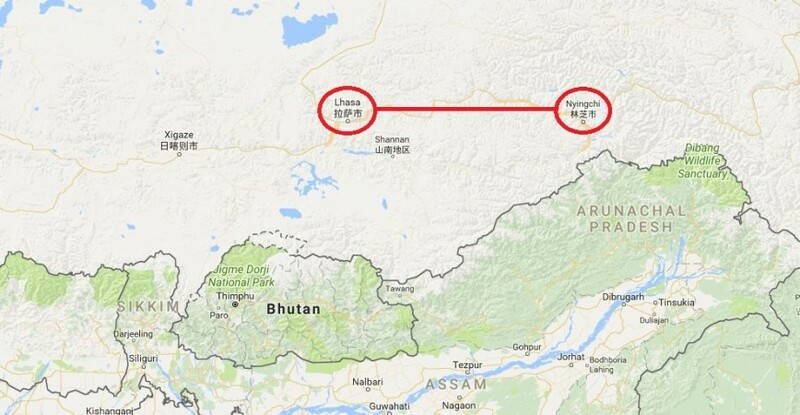 It said China claimed Arunachal Pradesh as South Tibet while India’s assertion was that the dispute covered the Aksai Chin area, which was occupied by China during the 1962 war.